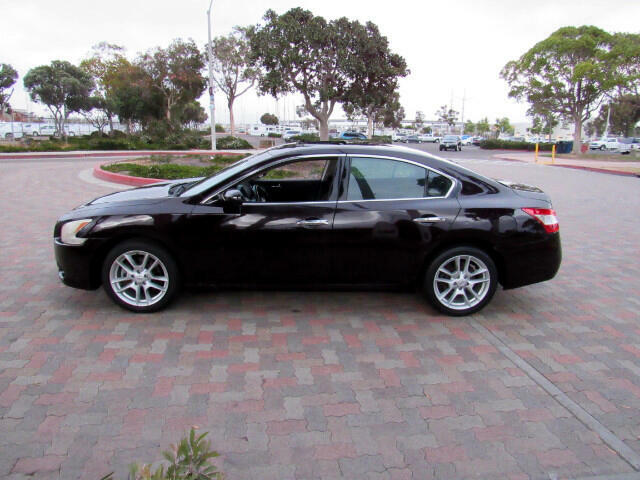 Beautiful Black Cherry Metallic Luxury Performance Sedan w/Select Shift Automatic Transmission, PS, Cold AC, Excellent Running 3.5 Liter V6 EFi Engine, Low Mileage, FACTORY SLIDING/TILT MOONROOF, Tilt Wheel, Cruise Control, Power Windows, Door Locks, Seats & Mirrors, Premium Factory AM/FM Sound System w/6 Disc CD Changer & Steering-Wheel Volume & Channel Controls, Front Bucket Seats w/Center Console/Cupholders, Fold-Flat Split 60/40 Rear Seat w/Retractable Center Console/Armrest & Shoulder Harness Seatbelts for 3 Rear Passengers, Premium Factory 18" Alloy Wheels w/new 245/45R 18" Radial Tires, "Stillen" Cold Air Intake System, Rear Child Safety Locks & more; Service & Maintenance Records - Runs out excellent; Priced to Sell - Just $6,775/Best; Financing Available; Trades & Credit Cards Accepted; For more information please call Kevin at (619) 985-6527; FAX (619) 773-6444; To view more pictures and/or to apply for financing on-line please visit our website at www.presautoinc.com ... For fastest response and best service please call Kevin at (619) 985-6527. Thanks. Visit Prestigious Auto online at www.presautoinc.com to see more pictures of this vehicle or call us at (619)985-6527 today to schedule your test drive.